alaTest has collected and analyzed 232 reviews of Acer Aspire 17.3-Inch Laptop Intel Core, 4GB RAM, 500GB HDD, Windows 7 Home Premium 64 bits. The average rating for this product is 4.3/5, compared to an average rating of 4.1/5 for other products in the same category for all reviews. Reviewers are impressed by the size and price. The usability and screen are also appreciated. There are some critical comments about the portability. We analyzed user and expert ratings, product age and more factors. 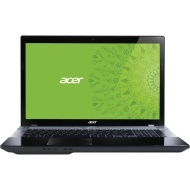 Compared to other products in the same category the Acer Aspire 17.3-Inch Laptop Intel Core, 4GB RAM, 500GB HDD, Windows 7 Home Premium 64 bits is awarded an overall alaScore™ of 82/100 = Very good quality.